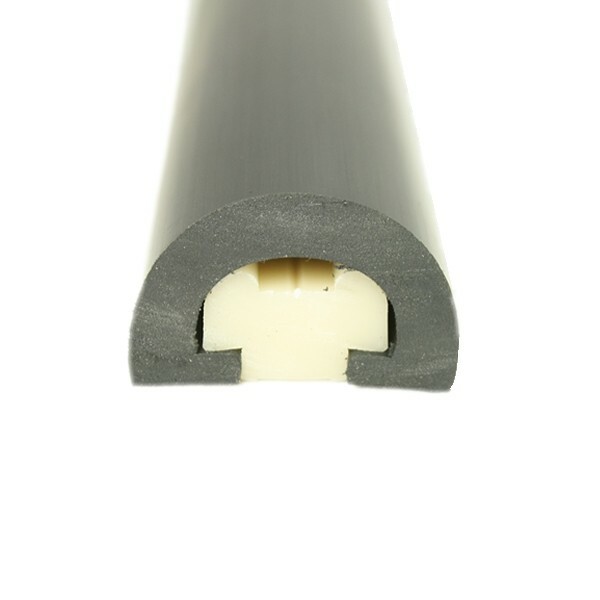 53mm base flexible PVC D Fender designed to provide protection to boats and other marine areas. Please note: This is a complete PVC boat fendering system supplied in two parts consisting of PVC 2085 (track) and PVC 2086 (body). The track is first fitted all the way around the side of the boat by use of screws. Heat is then applied to the body which is then bent back on itself allowing the gap in the profile to open. 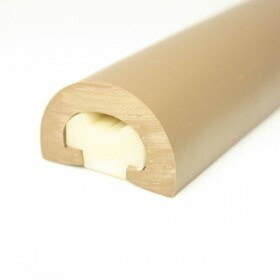 The body is then clipped into place over the track (light use of a hammer can be applied to help obtain a secure fit). 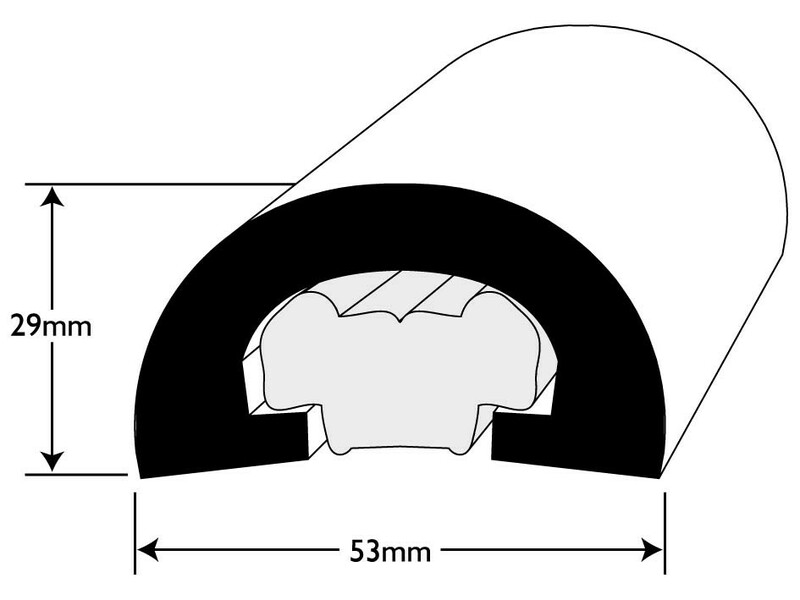 how is the heat applied to fit the top fender, would a hand held heat gun do the job or is this type of fender not suitable for the DIY sailor/owner to fit? I am looking to replace all the wood fender on a 30 foot glass fibre boat. Yes you can either use hot water or a hot air gun to apply heat. 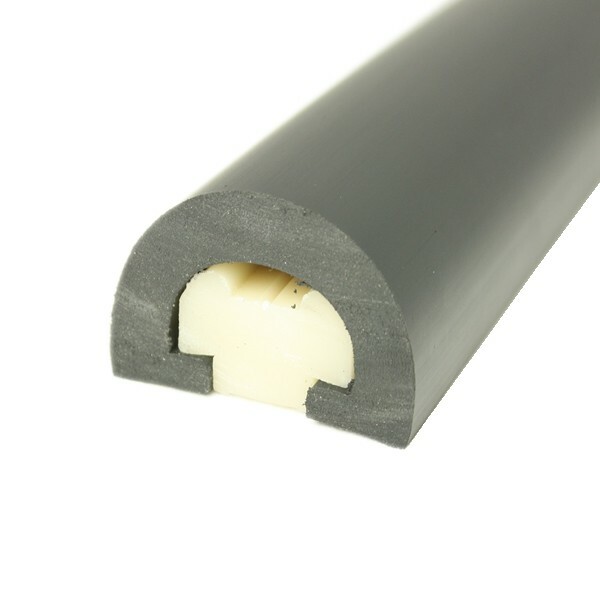 The PVC 2085/6 is applied in two parts first PVC 2085 track which you might just cut short on tight corners. Then the 2086 which when heated will flip over the front quite easily. However, whenever heating a plastic material be aware that it will expand under heat and contract back when it cools down, so be sure not to make the final cut until it has cooled down as shrinkage will occur. This job can be done by someone who is handy in DIY otherwise most boat yards are happy to offer their services.